We already know that OnePlus is working on a 5G handset and that it could be one of the first 5G phones to arrive, likely in early 2019, but now we’re hearing reports that – unsurprisingly – you might have to pay a relatively high price if you want to get your hands on it. According to “people close to the matter” speaking to Fudzilla, the 5G OnePlus phone will start at $649, which is $100 more than the $549 starting price of the OnePlus 6T. There’s no word on the UK price, assuming it even launches in the UK, but the OnePlus 6T starts at £499 there, so the 5G phone might be around £599. This, of course, is all just rumors for now, but it wouldn’t surprise us. With each passing year new flagships tend to get more expensive and the addition of 5G gives companies an extra reason to raise prices. The source adds that the company’s first 5G phone will use the unannounced Snapdragon 855 chipset and that it probably won’t be the OnePlus 7, which is something we’ve heard before. 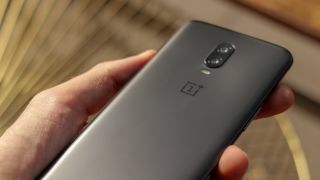 However, they say it’s likely that there will be a 5G version of the OnePlus 7 too when that lands. So in other words, we’re currently expecting a 5G phone – which could be the start of a new line – in early 2019, possibly with an announcement at MWC 2019 in February. That could then be followed by the OnePlus 7, which might come in both 4G and 5G flavors, in mid-2019, and then possibly a OnePlus 7T towards the end of the year. But none of that is confirmed yet and it’s all subject to change. Still, with MWC 2019 fast approaching we’d expect to start hearing a lot more about the first of those handsets soon.